In today's lesson, we’ll use sentence diagrams to illustrate the interesting grammatical differences and similarities between two almost indistinguishable sentences. 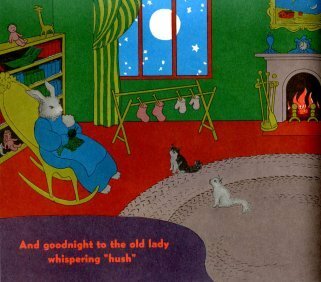 These two pages from Goodnight Moon inspired me to make this lesson for you. 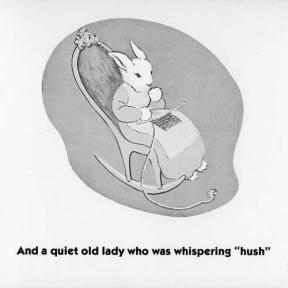 My husband and I read the book to our daughter every night as part of her bedtime routine. Today, we're going to be looking at two very similar sentences and how their diagrams reveal interesting grammatical differences and similarities. 1. We waved at the woman who was watering her plants. 2. We waved at the woman watering her plants. Notice that both sentences give us the same information. They are grammatically different, but they also have something in common. Let's find out what that is! If you had to choose one word in those sentences that who was watering her plants and watering her plants were telling us more about, what would it be? I hope that you chose the word woman. Woman is a noun, and both who was watering her plants and watering her plants are telling us more about that noun. Let's take a look at the diagrams of these sentences so that you can more easily see what I mean. We waved at the woman who was watering her plants. It's a complicated diagram. If you don't understand it, don't worry. Just notice that there is a dotted line between woman and who was watering her plants. From this diagram, you can see that who was watering her plants has something to do with the noun woman because they are connected with a dotted line. We waved at the woman watering her plants. Again, there is a lot happening here. Don't panic. I simply want to draw your attention to the fact that watering her plants is connected to the noun woman. From this diagram, you can see that the words watering her plants have something to do with woman because they are on a slanted line under the woman. Both of those groups of words are describing the noun woman. Do you know the name for things that describe nouns? Adjectives! Adjectives are one of the parts of speech, and their job is to modify nouns or pronouns. Both who was watering her plants and watering her plants are acting as single units, and they are functioning as adjectives! I know that might sound crazy to you because you're probably used to adjectives that are just one word, like in this sentence. We waved at the kind woman. Kind is one word, and it is an adjective modifying woman. Adjectives can also be formed from groups of words that come together and do the job of a single adjective. That's what is happening in our original two sentences. 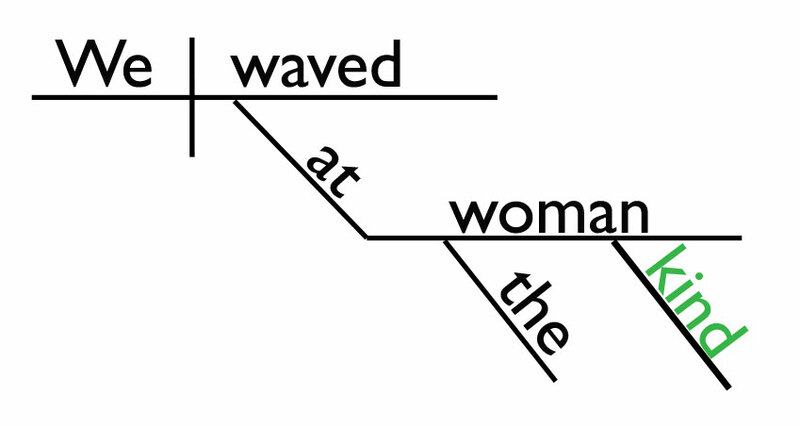 You can see that both of those groups of words are connected to the noun woman, and both of those groups of words are adjectives! Watering her plants is a participial phrase. Dependent adjective clauses and participial phrases are too complex for the scope of this lesson, but I wanted to show you that although they are pretty complicated, both of them are functioning as something fairly simple: adjectives. Sentence diagrams help to show you that. Thank you for the work that you do. Listening to how you explain things makes a lot of sense to me. I can really comprehend it. Again, thank you.